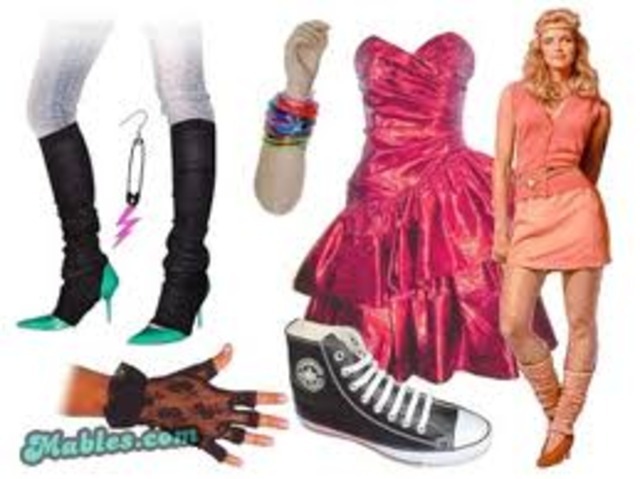 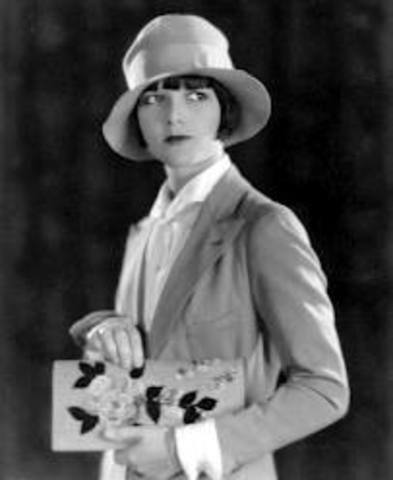 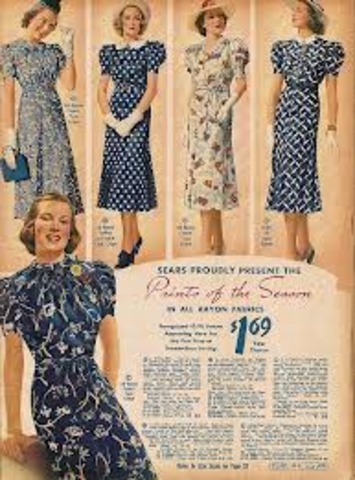 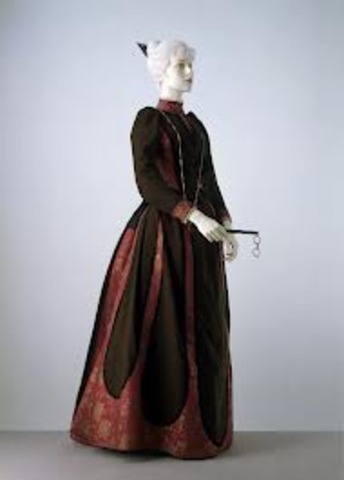 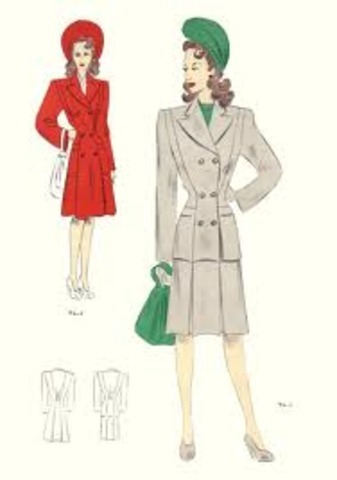 The most characteristic North American fashion trend from the 1930s to the end of World War II was attention at the shoulder, with butterfly sleeves and banjo sleeves, and exaggerated shoulder pads for both men and women by the 1940s. 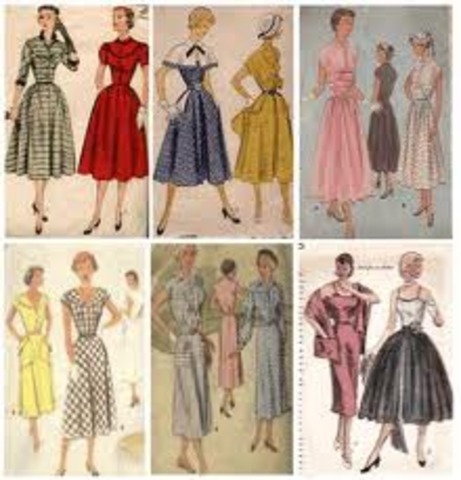 Fashion in the years following World War II is characterized by the resurgence of haute couture after the austerity of the war years. 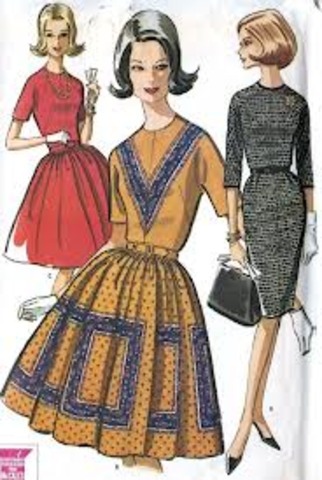 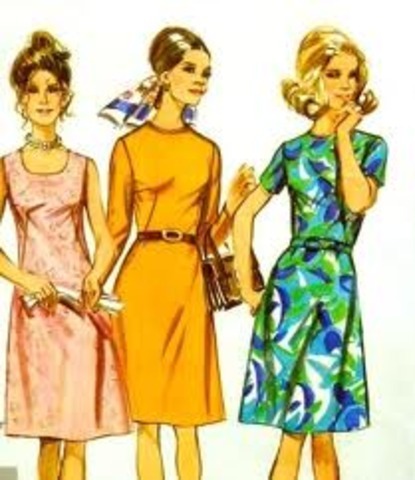 Square shoulders and short skirts were replaced by the soft femininity of Christian Dior's "New Look" silhouette, with its sweeping longer skirts, fitted waist, and rounded shoulders, which in turn gave way to an unfitted, structural look in the later 1950s.